We’ve been working with Practical performance car magazine for some time now helping with their race efforts and carrying out a feature called ‘Car Clinic’. Here we take in cars either from road or track and improve their handling with some geometry set up. This involves measuring the various positions and angle of the wheels and suspension and adjusting them as required, it’s just a short leap on from tracking which a lot of people have done on their road cars. The latest car to pass through our hands is PPC’s Westfield XI. 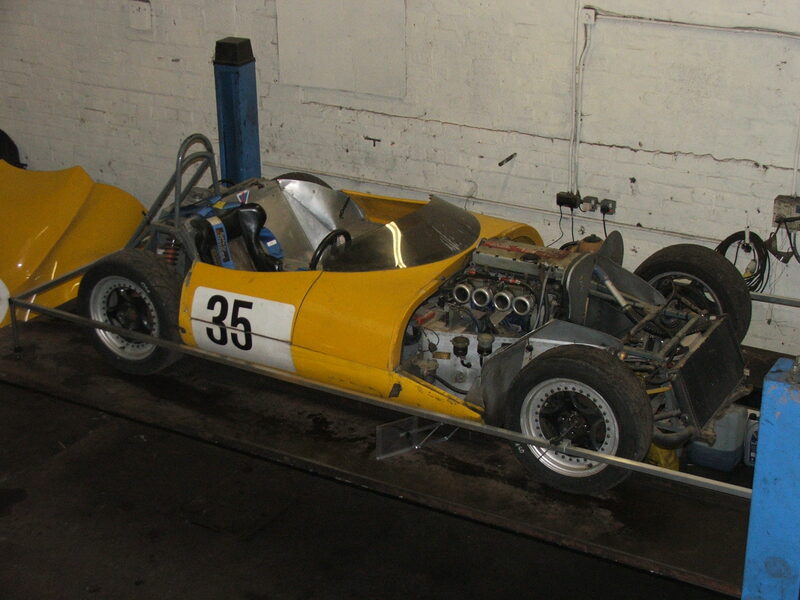 Measurements were taken for tracking, camber, castor, heights, wheelbase, track and axle offset . A few tweeks later and the car’s ready just in time for the last race of the 2010 season. This entry was posted on Thursday, October 7th, 2010 at 12:25 pm	and is filed under AA Sport, Garage Services, Project Cars, Track day toys. You can follow any responses to this entry through the RSS 2.0 feed. Both comments and pings are currently closed.